Hobbies/Interests: I love music! I enjoy playing piano and singing with my siblings. I like reading novels, traveling, and DIY (indoor) projects. I also enjoy spending quality time with my family, meeting new people, and serving the community. 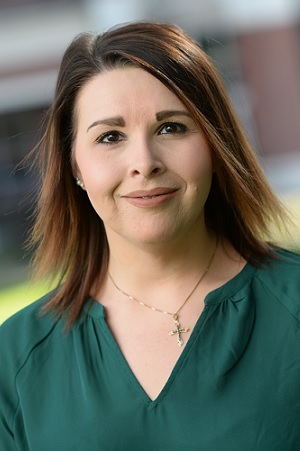 At Belhaven: Sandra serves as Director of Student Care. I enjoy meeting and interacting with our students. It is a very rewarding experience to serve students and watch them develop academically and spiritually. I appreciate the opportunity to provide continuous support and encouragement to our students as they work to achieve their goal. The greatest benefit of this job is celebrating with students and their families at graduation. Hobbies/Interests: I love physical fitness and meal prepping. I have spent a lot of time in my life as a cheerleader (including my time as an undergraduate student at Belhaven) and am now channeling my love for the sport as a gymnastics coach. I also love decorating my home, spending quality time with my family, and baking/decorating cakes and other baked goods. At Belhaven: I serve as the Think Center Coordinator for the Office of Student Care. There is a close-knit community here and I am so blessed to be able to contribute to that community. Helping our students grow in their faith and academics is such an honor. I am elated to watch them grow and follow the path that the Lord has created for them. Hobbies/Interests: Traveling, going to the lake, cooking, working out, training for half-marathons, spending time with friends, family, her sweet rescue pup, Needtobreathe concerts, candy stores, cheering for the New England Patriots, and attending Redeemer Church. At Belhaven: Keri meets with students to ensure that their college experience is one where students can thrive academically to achieve their goals, and grow spiritually and personally for the Glory of God. 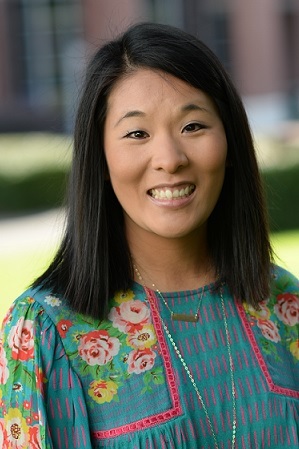 In addition, she serves to keep parents engaged and connected to the life of Belhaven and resources available throughout different means of communication. Keri’s favorite part of her job is being able to encourage, support and relationally invest in the lives of students throughout college. Keri’s hope is that these students would be reminded of the Lord’s goodness and sovereignty, and know that their strengths, gifts and talents are valued. Hobbies/Interests: Watching Netflix and movies, traveling, spending time with family, friends, and my kitties, getting mani/pedis, and shopping. At Belhaven: Rebecca serves as the Athlete Student Care Officer for the Office of Student Care. She works in collaboration with the Athletic Department to provide support and assistance to student-athletes as they work to achieve their academic and personal goals. Rebecca’s favorite part of her job is getting to meet and form relationships with the students she works with. Hobbies/Interests: My favorite way to spend my time is with my husband, daughter, and puppies, and our families, church family, and friends. I enjoy listening to audiobooks, baking, meal planning, blogging, hosting dinner parties, and collecting Christmas decorations. At Belhaven: Kasia serves as the Traditional Student Services Officer for the Office of Student Care. She hopes to help students have a successful and life-giving experience at Belhaven. Kasia desires for every student to see the individual gifts, talents, and strengths God has given them and how they can use those individual qualities to make a difference in the world.